Jacob Hanna/Pipe Dream Photographer Some interesting finds from Binghamton’s Antique Row include a Symphion music box from 1890 and a homemade instrument made from a vintage cigar box. The shops at Antique Row have long been a fixture of the Binghamton area, drawing in generations of visitors and community members. For students north of Main Street, the shops are just a short walk away from home, making them a viable stop for home decor, furniture and unique holiday gifts. Each shop fills its own niche within the strip, and it’s easy to spend a whole afternoon chatting with proprietors and enjoying the unique personality of every collection. To get a feel for the shops before you visit, check out Pipe Dream’s guide to the people, places and treasures of Antique Row. With its curtained storefront, carefully arranged displays and homey wooden furniture, a trip to Yesteryear is like stepping into a parlor from the past. Binghamton native Joan Bullock has been in the antique business for 45 years, opening this storefront 16 years ago. 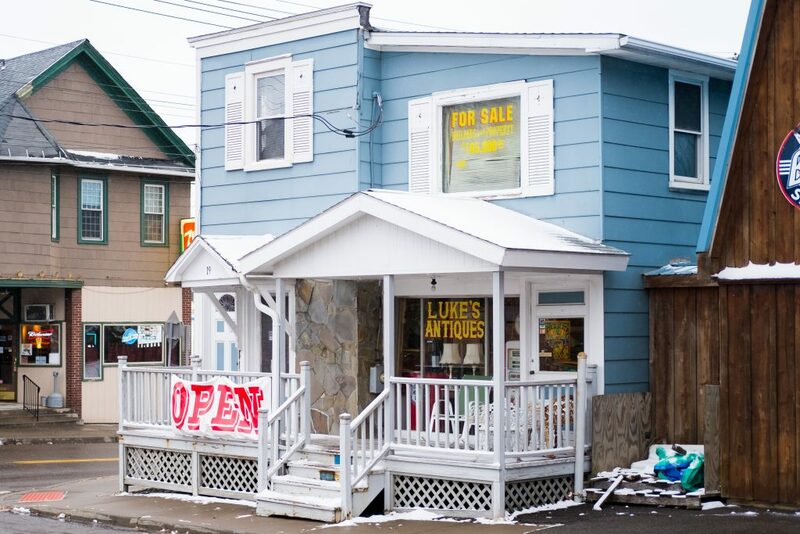 The shop sells furniture, housewares, buttons, dolls and more, mainly classic pieces with touches of whimsy sprinkled throughout the collection. Notable highlights include a Minnie Mouse table built locally in 1935, a Symphion music box from 1890 and a homemade instrument made from a vintage cigar box, built by Bullock’s son-in-law. While some of the larger pieces might seem out of reach for a college student, a thorough search yields some affordable finds — one box, tucked away near a table, is filled with quirky old postcards for prices as low as $3. Old, Odd and Unique grew from the personal collection of Cleveland native Laddie Vana, who moved to Binghamton for a job at IBM in the late 1970s and opened the shop shortly after his retirement in 1993. Eager to spend his money on something more interesting than a “hangover from the bar,” Vana began collecting small pieces to share with friends and pass along. What started as a hobby grew into an ever-growing stock of oddities, curated from antiques shows, flea markets and other collectors. The store interior is an organized chaos: Vintage tools, lamps, instruments, housewares, cookbooks and trinkets fill glass cabinets and share cramped space on tables. The overflowing room next door is home to a similarly strange fare: mannequins, playground toys, hanging birdcages and a giant crayon. Frequented by BU students and faculty, the space is aesthetically interesting enough to have been featured in a few student films during Vana’s tenure at the storefront. Vana said he appreciates the flow of BU students through his doors, many of them looking for secondhand instruments, decorations and fodder for art projects.